Phil Laughlin and Robert Chamberlin pair up for a show at the ONE Arts Center on February 6th 2016 reinventing the classic Vermont landscape. Laughlin uses a contrast of light and dark inviting the viewer to make a closer observation of the work while Chamberlin’s derivations allow the viewer to make his or her own interpretations. 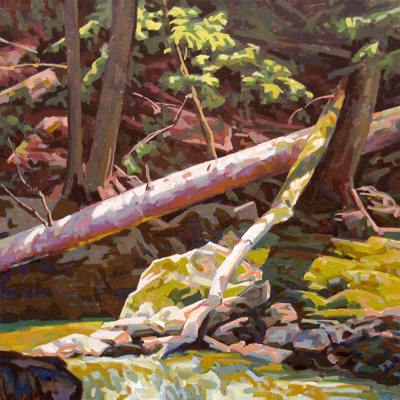 Together these artists bring a fresh new look at what a 21st century Vermont landscape can be. Previous Happy New Year from ONE Arts!